Education sessions held in Beijing mark the first off-continent events for the ASC International Master Class program. The ASC International Master Class has completed its maiden off-continent voyage. Following the debut of the ASC International Master Class in Toronto, Canada, last year — the Society’s first major education initiative staged outside of Hollywood — the program has journeyed much further afield, holding two spring 2017 sessions in China. Held in partnership with ARRI, the intensives took place on April 10-13 and April 16-19 in Beijing, the nation's capital and second-most populous city. Presentations and workshops were hosted at the Beijing Film Academy (BFA), widely regarded as Asia's preeminent center of higher education for film and video production. 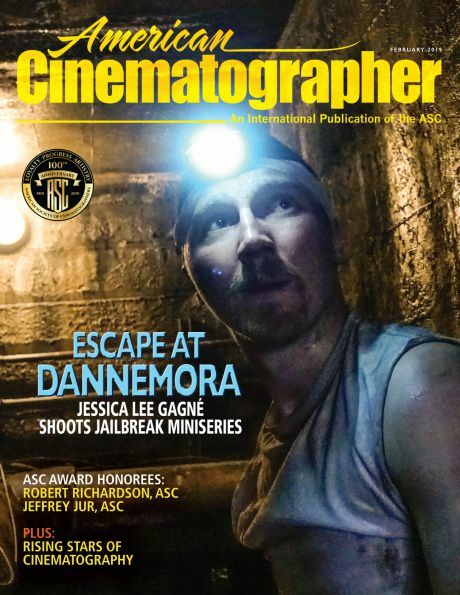 Coinciding with these sessions, the ASC launched a monthly digital digest version of American Cinematographer magazine translated for Chinese readers and hosted by the website 107Cine.com. And this all comes as relations heat up between Hollywood and the Chinese film industry. "We thought it would be an interesting experiment to reach out to one of the world's largest film markets," says ASC president Kees van Oostrum. "Our magazine is a crown jewel and to officially have it in Chinese is fantastic. It and the International Master Class have solidified our entry into the Chinese market both in terms of sharing information and fortifying our role as American cinematographers working there. At any given time, we have five or six members engaged in production in China, and these are great opportunities to support them." One of the many group dinners held during the program, allowing the ASC instructors to meet their students. The sold-out Beijing events welcomed 32 attendees to the first session and 30 to the second. The ASC International Master Class program is aimed at professional cinematographers and advanced production students, but in this case also drew directors, producers and teachers, all looking to go deeper into the craft of visual storytelling with notable ASC members as their instructors. Some attendees hailed from beyond the Chinese mainland, traveling from Hong Kong, Malaysia, Nepal and even Azerbaijan — some 3,500 miles away. The ASC's contingent of educators included commercial production specialist Bill Bennett along with narrative feature and television cinematographers Karl Walter Lindenlaub (Independence Day), Frederick Elmes (Paterson), Theo Van de Sande (Homefront) and Steven Fierberg (The Affair), as well as visual effects expert Sam Nicholson, the founder and CEO of VFX shop Stargate Studios (The Walking Dead) and an experienced cameraman. Bennett, an ASC Master Class instructor since the Hollywood-based program's 2013 launch, arrived in Beijing ahead of the others to help set up, and was impressed by the BFA's infrastructure, which includes a Hollywood-sized studio and at least a half-dozen ARRI Alexa cameras outfitted with ARRI Master Prime Lenses. Master Class sponsor/partner ARRI served as hosts — receiving major kudos for their efforts from the ASC ambassadors — while Cinerent Group's Beijing rental office provided lighting and grip gear. Heavy-hitting Chinese industry veterans observed the sessions, including DoP Xiaoshi Zhao (Forever Enthralled), Hong Kong Society of Cinematographers chair Sing-Pui O (Ip Man) and vice-chair Raymond Lam (a Steadicam operator whose credits include House of Flying Daggers). Each of the two sessions was preceded by a dinner attended also by DoP luminaries including Pan Luo (Mr. Six), Yong Hou (The Road Home), Ming Sun (Goodbye Mr. Loser) and HKSC founder Arthur Wong (Ultraviolet). "Meeting our Chinese colleagues was one of the added benefits we didn't really foresee," says van Oostrum, who monitored the International Master Class experience from Los Angeles. "They showed up and engaged in friendly conversation and it opens up a direct channel that is culturally important for the ASC." The ASC also didn't foresee the culinary tour they received, experiencing local restaurants each night and getting to sample exotic delicacies. Bennett's companions got him to try a mystery dish, only later informing him it was deep-fried worms. His review: "They look and taste like Cheetos." The sessions were translated to Mandarin for the students, while the students' questions were translated to English for the instructors. This was performed by BFA students and ARRI staff familiar with the technical jargon in both languages. Bennett says that while this required patience on both sides, it went remarkably smoothly. Detailed PowerPoint presentations translated beforehand increased efficiency. Bennett points out that while China is known for censoring movies from the West, he and his colleagues had complete freedom regarding the content of their presentations. "Everybody showed whatever clips they wanted from their past work. And we didn't get any blowback from the first session, so we showed the same material in the second," he says. His presentation focused on how to light automobiles, followed by a practical demonstration with a model car, which he shot with an ARRI Alexa SXT and spherical lenses. Bennett believes he and his colleagues helped the students reconsider the driving principle behind their previous approaches. "They were furiously taking notes about exactly where the lights and dimmer were situated and the percentage of gradient in postproduction," he recalls. "They were under the impression that if you master the technology, your work will look like Vittorio Storaro [ASC, AIC]'s. We had to disabuse them of that idea and reinforce that the technology serves the artistry and everything comes from storytelling. I think that was a revelation to them." Lindenlaub, who has taught several Master Class events in Hollywood and previously served as head of camera education at the Hamburg Media School, participated in the first Beijing session. He began with a presentation about planning and visual concepts entitled "From Previs to iPhone," because, as he explains, "Sometimes filmmakers get to do extensive previs sequences and sometimes we just use the Artemis Directors Viewfinder app on set to do quick setups." He then gave a lighting demonstration in a scene with a couple of actors, giving the students the opportunity to see the Alexa 65 in action — which is certainly of interest given the popularity of large-format exhibition in China. Lindenlaub worked with a two-walled apartment set with a window, emulating a dramatic situation and incorporating camera movement. "My goal was to give the students more arsenal for their toolbox and show how you can turn the same space into something completely different depending on the story requirements and time of day," he says. Lindenlaub notes that the students expected him to use a more high-key lighting approach. 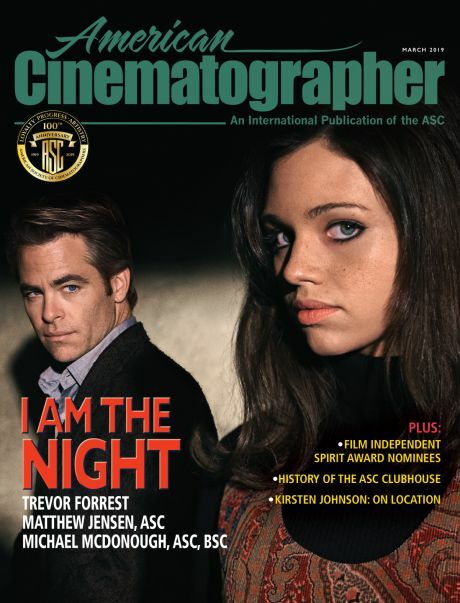 "In our universe, if you let the cinematographer decide, we would tend to go more dramatic with lighting," he says. "Sometimes they were surprised we wouldn't have things brighter: 'Why is that part of the set so dark?' We would say, 'It falls off. That's what happens. The eye goes to the actors and not to that piece of wall back there.'" Meanwhile, Fierberg was participating in his first Master Class after having previously taught at AFI and for 20 years at the Maine Media Workshops. He initially questioned what the Chinese filmmakers could learn from the West, given the high calibre of local cinematic masters such as Zhang Yimou and Wong Kar-wai. But he came to believe that "the quality of American screenwriting — especially in television — is exceptionally high, and there's something in the tradition of our storytelling technique that we can offer them." How the camera tells the story was Fierberg’s area of focus. He had his students read a translated scene from the romantic drama Guinevere (1999), written and directed by his friend Audrey Wells. "I asked, 'What are you looking for when reading a script? What questions should you ask? How do you design the movie's visual storytelling?'" He covered staging, choice of focal length, “cheating” actors, establishing point of view, and shooting main versus secondary characters. "The central question you should ask is, 'what happens in the scene? What is the event?'" Fierberg says. "Each beat of the script is there to advance that story to its conclusion, and the cinematographer needs to show those beats. If it's about the ex-wife, don't show a close-up of the glass. But if the guy's an alcoholic, maybe you do show the glass." Fierberg demonstrated how to break down the beats and design a storyboard and shot list. "Some students questioned whether mine was the right way to shoot it, and I told them that was the point. There might be 20 ways to do it, but you should choose the way. You should walk into the scene with a plan," he explains. Fierberg then set up a sinister living-room scene in which a wife poisons her husband, shooting with the Alexa 65 and ARRI's re-housed Hasselblad lenses — their company’s newer series designed specifically for motion picture wasn't yet available, he notes — and compared the results to an Alexa SXT shooting with anamorphic lenses. Meanwhile, Van de Sande talked about the skills required for various kinds of productions, and also shot a dramatic scene with the Alexa 65. He conveyed his philosophy of lighting environments as opposed to individual shots and demonstrated the usefulness of the soft LED light ARRI SkyPanel units for that purpose and for their color flexibility, which he likes to take advantage of in his work. The SkyPanel's role in pixel-mapping lighting for VFX was central to Nicholson's talk. He shot scenes with the Alexa 65 and the Alexa Mini with anamorphic lenses and showed how MadMapper software can be used to transfer video information to a greenscreen. As the chroma and luminance changes in the video background, the lighting from SkyPanels and ARRI L-Series LED Fresnels is programmed to likewise change in sync. "We shot a background moving out a door from interior to exterior, where the light obviously changes," explains Nicholson, who opened a Stargate Studios office in Beijing during the trip. "Then we shot actors on greenscreen going in and out a door with the light changing, synced perfectly from wide-open exterior to interior with daylight streaming in through a doorway." Stargate creative director Adam Ealovega was on hand for compositing. Illumination Dynamics supplied Stargate Los Angeles with lights, allowing the shop to develop an approach for controlling the illumination, which it in turn shared with the tech team in Beijing. Nicholson provided a further example of kinetic lighting, which he describes as slaved to the greenscreen background. He gives the example of a studio setup in which a car drives through Shanghai at night, passing by streetlights before entering a tunnel. "The lights then all bloom to the exact color temperature of the tunnel lights and have the same pacing as those lights. You can get exact synchronicity between background and foreground lighting. These are real lights you can push and get repeatable and controllable effects from we've never seen before because of the capability of the SkyPanel and L-series." This is a new alternative to traditional studio methods such as the moving lights of poor man's process, which was demonstrated by Elmes, who indeed shot two actors in a car travelling at night. Rough composites of his material were assembled for the class in the session's postproduction section. "Emerging cinematographers are looking for that special knowledge that will put them a step ahead of the competition," Nicholson notes. "We all have to learn the basics of storytelling and traditional lighting. But in China they are also interested in the future: 'What is the next cool trick I can use?'" The ASC instructors also find it beneficial to learn these new tricks from their colleagues. Another topic they want to know more about is High Dynamic Range (HDR) imaging, which was addressed by Bennett. "There's still a lot of work to do to figure out standards and have displays that provide meaningful information on the set," Lindenlaub says. "We had one HDR monitor we all used which at least allowed us to look at the display in a different way." HDR was discussed further in the post session overseen by Florian "Utsi" Martin, ARRI Media's Munich-based executive of business innovations and senior colorist, whose credits include the Lord of the Rings trilogy. Everybody boarded a bus and navigated Beijing traffic to join Martin at Digital Domain's local office for the evaluation and grading of the footage they shot at the BFA. "Utsi gave an exceptional discussion of HDR that represents state-of-the-art knowledge and thinking — not just technically, but artistically," says Fierberg. The ASC is heeding predictions many if not all productions will need to take HDR into account within the next couple of years, and the topic should figure prominently in future Master Class sessions. The students watched as each teacher worked on coloring their footage with Martin tweaking the Arriraw files on a DaVinci Resolve system. Footage was analyzed via a Christie 4K Xenon projector. "We simulated a typical grading session and tried to show the possibilities with the material that was shot and how the interaction between DoP and colorist normally works," Martin says. "Both groups had interested students with a great drive to create beautiful feature-film images. Everyone was eager to learn and asked many questions to get the most out of their time with the excellent DoPs," he adds. From top, Theo van de Sande orchestrates the lighting of a scene. Cameraman Ninghui Yu found the agenda tight and impactful. "I learned new ways to shoot and what these veteran masters would do in specific scenarios," he said. "The class also made me think about how to use equipment effectively, and how to properly design and set up lighting for different scenes. It gave me confidence. I now believe I can work step-by-step to become a great cinematographer." Van Oostrum has heard the request that ASC International Master Class teachers take more time to discuss the work that inspires them, as they do during the Hollywood events. "Here, we start by showing films and introducing the culture of filmmaking from a cinematographer's point of view. We needed to truncate the international program so that was left out, but the class responded that's something they're very interested in," he says. This will likely be included in future overseas events. 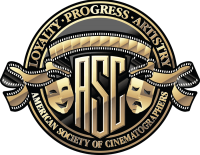 The ASC is also considering extending the International sessions to span five days, as they do in Hollywood. The teachers have indicated they would benefit from their seminars running a full day instead of half, especially since translation slows down the process. At the BIFF, the discussion moderator talks to (from left) ASC instructors Sam Nicholson, Bill Bennett, Fred Elmes, Theo van de Sande and Steven Fierberg. While in China, the ASC wanted to also reach a wider audience, and so its members participated in panel discussions for both BFA students and at the concurrent Beijing International Film Festival (BIFF). Each event drew a crowd of about 200 attendees. "Because of the great interest from people of all walks of life — and given the fact many people in China are not wealthy — we felt it was our ethical and moral task to open up accessibility to the seminars so people could attend at no charge," van Oostrum says. Hot topics included the fast industry changeover to digital from motion-picture stocks and the comparison of Eastern and Western working cultures — particularly how Chinese crews work consecutive days without days off. ASC members shared their belief that a five- or six-day work week with some time off is better for crews' health and happiness, and, in turn, for productivity. Chinese producers at BIFF approached the cinematographers to talk up potential collaborations. 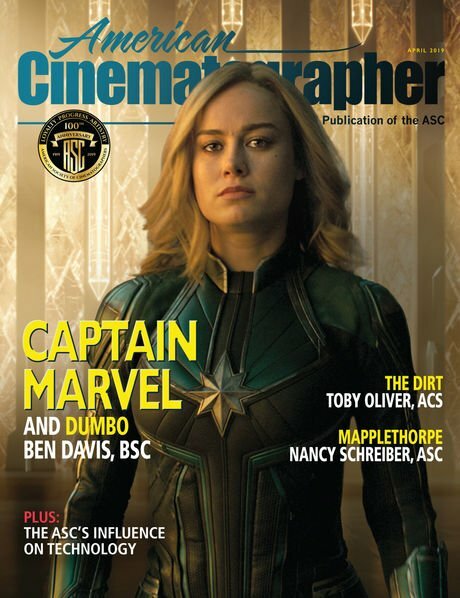 Certainly the future is pointing towards increased partnerships between Hollywood and China, and more ASC International Master Class sessions as well. "China is asking, 'When are you coming back?'" van Oostrum reveals, adding that "we've also had requests to come back to Toronto, while Vancouver is another target." The next International Master Class event, however, is slated for São Paolo, Brazil's largest city, later this year. After that, the ASC will sit down with ARRI to discuss where to go next. One place it is definitely moving is online, with a forthcoming digital ASC Master Class seminar available by subscription. Van Oostrum notes, however, there are a finite number of ASC members available to teach the ASC Master Classes held in Hollywood and abroad. (The website currently lists 57 experienced members on the faculty roster.) This limits how many classes they can hold every year, despite demand. And that is where the online offering will prove attractive. Notes the ASC president: "We're doing it so it will be accessible to everybody."